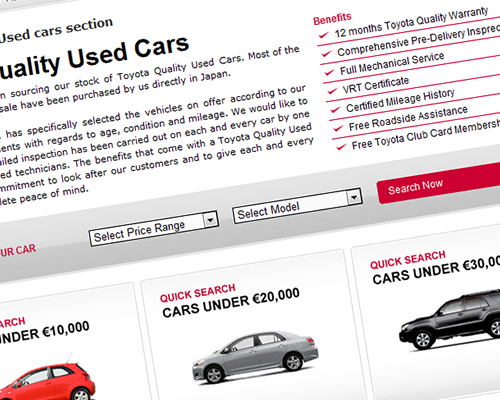 Abakus Solutions together with BRND WGN have launched a new Used Cars application integrated with the Maltese Toyota website - www.toyota.com.mt. The i-frame application was re-launched with a new design and functionality. The application offers a quick search based on model and price range. The individual car pages, include detailed information and specifications of the particular car together with different images of the particular car from different angles. BRND WGN was responsible for the design whilst Abakus Solutions was responsible for the development and functionality of the application.